Affordable yet lifelike, the easy-to-install face shield lung system means no cleaning, no disinfecting, and no disassembly required. 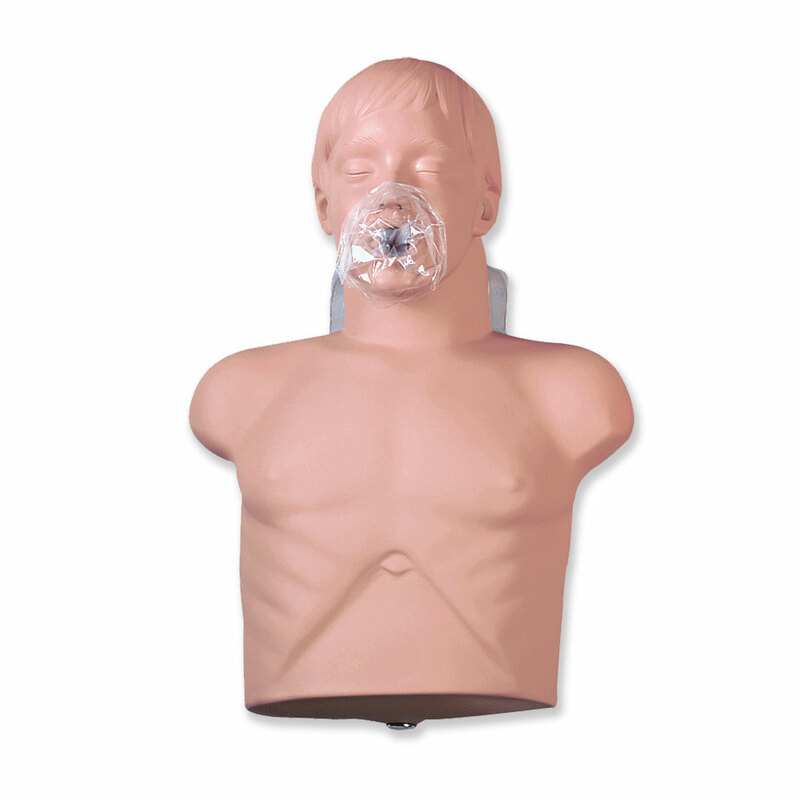 These manikins include the head tilt/chin lift required to open the airway. A tough vinyl skin allows for extended service, and a foam-filled torso provides resistance to compressions. It also features palpable landmarks to help guide proper hand placement, and an observable chest rise to verify ventilation. Includes three airways and instructions for use. Not made with natural rubber latex. Size: 19" x 15" x 9"